ABNRML has been stepping into the big festival game with J Dub All Stars to execute some really special prints. 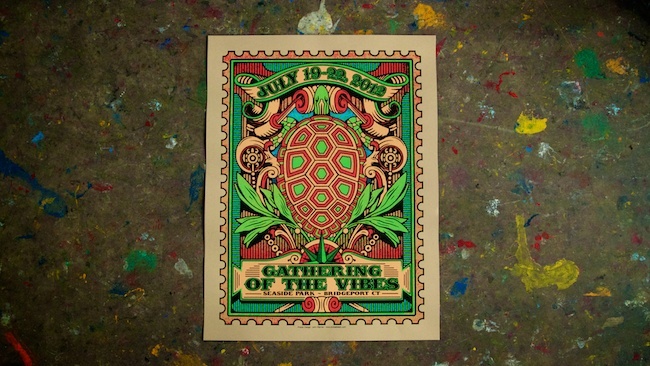 This is an awesome 5-color print for the Seaside Park Gathering of the Vibes festival in Seaside park in Bridgeport, CT. It was screened on 19"X25" oatmeal French Paper cover stock. The prints were available exclusively at the festival.